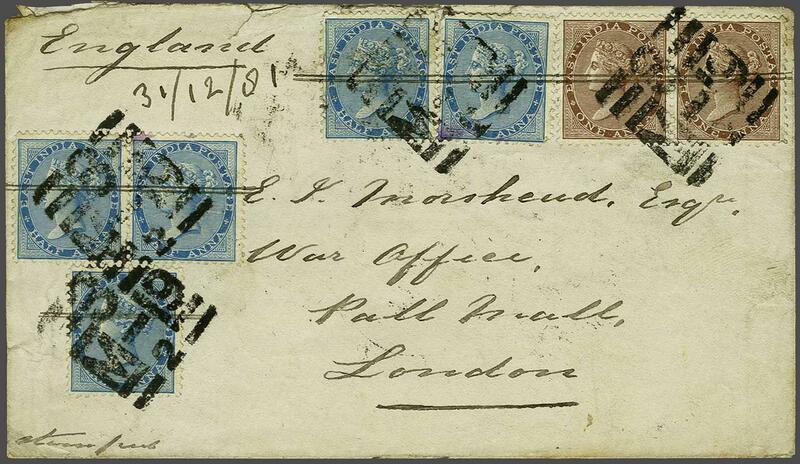 French Indian Settlements 1881: Cover from Devalah to London franked by India 1865 1 a. brown pair and 1873 ½ a. blue (5 examples) all tied by four bold strikes of "3 / M-19 / 2" rectangular obliterators in black, with manuscript date of sending alongside. 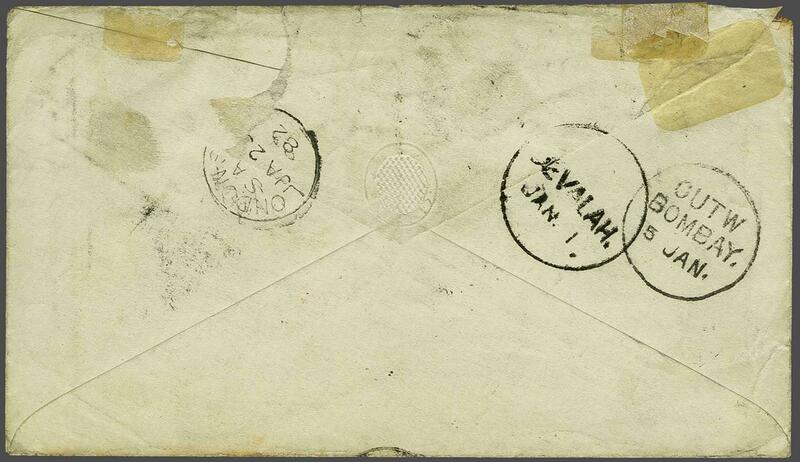 Reverse with DEVALAH despatch cds (Jan 1, 1882), Bombay transit (Jan 5) and London arrival cds in black. Small imperfections but rare - very few covers are known from Devalah and this must surely be one of the most spectacular usages. Dewala is in what is now Pakistan in the Dera Ismail Khan area. Dewala is in what is now Pakistan in the Dera Ismail Khan area.